William B. Freeman, Insolvency and Restructuring partner and member of the firm's Board of Directors, practices in the areas of insolvency, creditors' rights and finance. Bill is a trusted advisor to many constituencies in the capital markets arena: corporate borrowers, banks, financial institutions, indenture trustees, bondholders, distressed debt investors, fiduciaries and trade creditors. 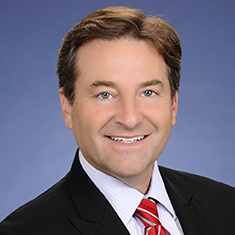 His practice includes all aspects of Chapter 11 bankruptcy law, negotiating and drafting commercial credit and collateral agreements for institutional clients in a problem loan or “workout” context and the Uniform Commercial Code (UCC). Financial institutions, acting as administrative agent, collateral agent, successor agent, treasury and cash management bank, steering committee member, participant or indenture trustee. National, regional and international banks and financial institutions in their largest, most challenging and highest profile matters. Bill’s services involve all aspects of UCC Article 9, California’s “mixed collateral” rules, loan workouts, lender liability, loan sales, commercial disputes, debtor-in-possession financing, plans of reorganization, pre-judgment remedies and foreclosure of real and personal property collateral. Corporate borrowers in loan restructurings, workouts, distressed sales and bankruptcy matters. Fiduciaries, including trustees, receivers and assignees for the benefit of creditors in complex matters. Official and unofficial unsecured creditors' committees and bondholders’ committees in major bankruptcy cases throughout the United States. Buyers, sellers and investors in the acquisition and disposition of distressed assets, equity and/or claims through bankruptcy proceedings—including 363 sales, secured creditor foreclosure sales and assignments for the benefit of creditors. Institutional and individual trade creditors in commercial litigation disputes involving lender liability, credit documentation, collection, reclamation and other credit issues. Bill frequently speaks throughout the country on the subject of commercial loan workouts, receiverships, creditors' rights, the Uniform Commercial Code, finance and bankruptcy. Shown below is a selection of William’s engagements.